There are a few things which I don't understand. 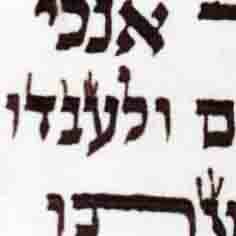 a) עפצים and קנקנתום are argued by some Poskim to be mandatory in ink because they are mentioned in the Gmara or Rishonim. There are, however, other ingredients, like עשן פחם דבש אדרמינט שמן , which are also mentioned in the Gmara or Rishonim. עשן is the most favorite blackening ingredient amongst the Rishonim and Achronim. Yet, these other ingredients are not considered mandatory. How come? A few years ago I asked someone in Israel to ask a famous Rav, who is a great expert in STAM, about this switch to synthetic iron-sulfate. The Rav was shocked to hear it, and I was told that his face turned white. The Rav did not give any answer. 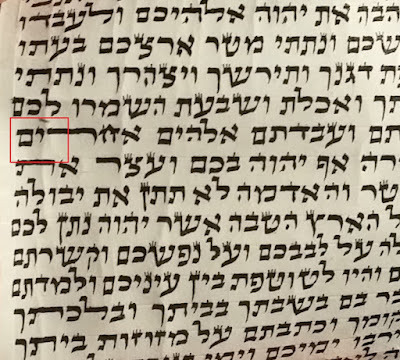 Now the question is: If the natural קנקנתום of חז"ל is a mandatory ingredient, then, who permitted the ink manufacturers to replace it with a synthetic substitute? And, if this replacement was permitted, then, how can natural קנקנתום be mandatory? c) Of all the ingredients that are mentioned in ink, עפצים and קנקנתום are the only two ingredients against which there are opinions in the Gmara or Rishonim that prohibit them or consider them פסול . How is it possible, then, to argue that ink must contain these two ingredients, and that the ink which contains these two ingredients (plus goma) is the most Mehudar? Isn't it the same as arguing that חלב עכו"ם (which is considered Treif by some and Kosher by others) is the most Mehudar milk, or that non-Shmura flour is the most Mehudar for baking Matzah? If I could just divert to rapidograph ink. Its off topic but with all this discussion on ink, why not bring it up. Most magihim use Staedtler ink for rapidograph. People assume it is kosher because everyone uses it. Also the company reps told a few people who called that it has no animal byproducts. Yet According to Zvi it was lab tested and found to have shellac. So why does everyone still use it? Is there another side to this story? Here are my findings on the subject of rapidograph ink, from various manufacturers. Shellac is listed by Staedtler on the company's data sheet as one of the ingredients. And here is the evidence that shellac is not kosher. The rumor of "no animal ingredients" in Staedtler ink was initiated by the distributor in Israel. I talked to him. He said that this is what the marketing people (not engineers) in Germany told him. Iron sulfate is still green and the same as what is found raw, this that they aren't exactly the same doesn't change it to a different ink especially since it is the same chemical reaction with tannins. By the way there's a machlokes what kankantom is! You should note that shellac is a kosher ingredient. If one dips their bread in honey during the holidays, they are dipping it into a secretion that comes from a non-kosher insect. Likewise, is the case with shellac. Shellac is not part of the bug. Rather, it is a resin that is secreted by the lac insect. This is secreted from its glands onto the host tree. The resin is then gathered, crushed, sieved, washed and purified - even into food grade shellac. HaRav Moshe Feinstein, zt'l explains in Igerot Moshe Y.D. II 24 that shellac is Kosher. There, he discusses several reasons for this conclusion. The most important being that both, shellac and honey, are secretions from a non-Kosher insect. Honey is obviously Kosher and so is shellac. Shellac is a common ingredient in many food additives and certified Kosher by the OU & Star K. It is often used to provide the hard coating on certain candies. It is also sprayed onto fresh produce to increase its shelf life and make it more appealing. That Staedler ink contains animal ingredients - is a bad rumor. Let's be informed consumers and not spill any more ink on hearsay. Shellac is not of animal origin. I do understand that modern mehadrin hekhsherim in Eretz Israel do not accept shellac as a kosher product as they are not comfortable with any of the reasons that form the basis of Rav Moshe’s psak here in America. But we should be careful in labeling something as non-kosher when there are Giants that inform us differently. Bottom line, Staedler Ink is Kosher and permitted. If one chooses to use something different, that is their prerogative. But please, let's not impose more strictures on our people. One more point. Unfortunately, mahaloket has cast an unsavory taste on your wonderful ink... and you are now facing a similar issue with LaNetzach to that has been heaped upon Staedler. My heart goes out to you. Defend your ink, but not by putting down others. Also, just know, that the Kashruth of your ink is inviolable. The nature of its composition stands on the shoulders of Giants such as the RAMBAM, Shulchan Aruch, and many others. Whatever, you do, keep standing your ground and know that, there are many that understand and are appreciate your amazing contribution to Sofrut, including yours truly. I have a feeling that you did not read this article on the origin and composition of shellac. Shellac and honey are NOT the same. Honey is flower juice gathered by bees, and discharged from their body in concentrated form. Shellac is not the same. It begins its journey as tree sap, but it undergoes polymerization inside the insects with the aid of liquids from the insect body. These liquids have a Hallachic standing of דבר המעמיד which can never be nullified. The shellac is a new material, not tree sap. It is the same as cheese made from kosher milk using non-kosher enzymes. If the enzymes are not kosher, then, the entire cheese is not kosher. The shellac also contains about 3%-6% of insect fat, which is Hallachically not different from pig fat. Even if the fat is later removed, the entire composition is still not kosher. Would you eat soup made with 3%-6% pig fat, from which the pig fat was later removed? Regarding, the ruling by HaRav Feinstein, see the section in the article with the heading מקור הטעות . HaRav Feinstein was told that shellac is the same as honey, and he issued his ruling without knowing that shellac is Hallachically the same as cheese made with non-kosher enzymes. His son, Rabbi Dovid Feinstein, read this article and admitted that his father was mislead by an incompetent advisor. Honey does NOT undergo a process of דבר המעמיד . 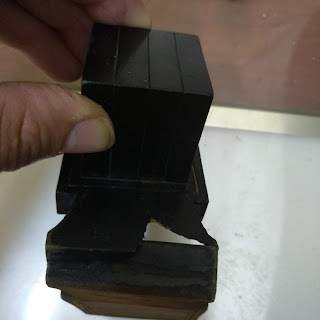 Shellac DOES undergo a process of דבר המעמיד . Just as a side note, here is an article from the OU briefly explaining why shellac is permitted in food as well as other other substances produced by non-kosher animal, ie. oyster shells & beeswax (first and last page of PDF). Whether or not this has any bearing on ink, I don't know. How does this logic work? An inedible food item which is produced for the purpose of being eaten. How can it, then, be inedible? "The shellac is a new material, not tree sap. It is the same as cheese made from kosher milk using non-kosher enzymes. If the enzymes are not kosher, then, the entire cheese is not kosher." It's easy to attribute ignorance to the Rav. However, please be aware that: Kol hayotze min hatame tame applies ONLY when the non-kosher animal creates food. However, when the item created is NOT food, the product created by a non-kosher source is considered KASHER. Thus, Rav Moshe concludes that since shellac is tasteless, it is not considered a food, and is permitted, even though it is yotze min hatame. By the way, the same is the case with beeswax. It is secreted from wax glands located on the underside of the abdomen of the bee. In its original state, beeswax is used in non-food grade applications since the human body cannot adequately digest this material. It is commonly used in candles, lipstick, shoe and floor polish, as well as buffing wax for surfboards. Since it is not a "ma'achal," a food, its status as a yotzei min hatamei (an actual product that is secreted from the bees) does not make it non-kosher. Therefore, beeswax is considered kosher although secreted from the glands of the bee. Importantly, although pure beeswax is generally not eaten, its kosher status is important for various reasons. Beeswax may be extracted to create a chemical used in the flavor industry. This extract is considered to be a kosher chemical, since the actual beeswax is not considered food. It is even permissible for one to chew beeswax for its pollen content, or even to swallow it, with or without the honey mixed in. How can one honestly say that Shellac would make INK - non-kosher - hiding under the umbrella of "Kol hayotze min hatame tame." This is the TAUT, and to ascribe TAUT to Rav Feinstein's position only demonstrates that those who hold that way not only disrespect the RAV, but also the RAMBAM and Shulchan Aruch. Mimidbar Sheker Tirchak. One may want to restrict himself from employing things like shellac, etc... and that is OK; but please don't impose those views upon others, especially if such practices are described as MUTAR by the pillars of our tradition. HaRav Eliashiv said that the Hetter of HaRav Feinstein cannot be relied upon, because it was based on incorrect information of how the shellac is produced. When the foundation is broken, it no longer matters how nice is the building built on this foundation. HaRav Dovid Feinstein Shlita also agreed that his father was misled by an incompetent advisor. HaRav Mordechai Eliahu also said the shellac is not kosher. HaRav Kanievski Shlita said that beeswax is not kosher, because it is body fat from a non-kosher insect. The fact that this liquid body fat is later oxidized in the air and turns solid, does not kosherize it. Quote: " Kol hayotze min hatame tame applies ONLY when the non-kosher animal creates food. However, when the item created is NOT food, the product created by a non-kosher source is considered KASHER." This is true ONLY if the material that comes out of the animal is Peresh. Peresh is trash, garbage, feces, urine, etc. A hormone or an enzyme or body-fat which is essential to the survival of the species can never be considered Peresh. The animal does not produce it as garbage. Therefore, it is not kosher. Quote: "since shellac is tasteless, it is not considered a food, and is permitted, even though it is yotze min hatame." Purified pig fat is probably also tasteless. Is it kosher? Understand that you are dealing with a mahaloket, and no insistence on summoning authorities can declare ASSUR what other of our great Hakhamim permit. Just as Rav Elyashiv zt"l prohibited it, HaRav Shlomo Zalman Aurbach zt”l permitted beeswax because it is not a food. Rather, it is to be treated like dirt, and even if one were to chew it and extract honey from it, this is not considered an eating. Harav Yisroel Belsky Shlita maintains that beeswax is permitted to be eaten and this is the custom of Klal Yisrael, without anyone disputing the fact. Should we begin stalking the list you will continue ad infinitum. HaRav Mordechai Eliahu would be on one side, and Hakham Ovadia on the other. As long as we have our great Hakhamim permiting on solid and established principles, no amount of insistence will change the facts on the ground. One cannot declare TAME what our Rabbis have traditionally permitted. 1. A Hallachic Machloket based on proper knowledge of the facts is obviously a legitimate Machloket. I think we are dealing here with a case in which the facts about shellac were not properly known. If the facts are not properly known, it is not a Hallachic Machloket. A side which does not know all the relevant facts cannot issue a valid Hallachic ruling. The Rambam said very clearly that the facts are senior to any opinions. 2. You keep saying in English "not a food". The Hallachic exemption from needing to be kosher is not "not a food" but "אינו ראוי לאכילה" - not suitable to be eaten. Shellac which is produced predominantly as a food-grade food item for the purpose of being eaten, cannot fall into the category of אינו ראוי לאכילה . Therefore, this exemption does not apply to shellac. "Food grade" does not mean food. Anything for the preparation of food has to be food grade. For example, would you use the same lime used to process klaf to cook with? I don't think people would chip off shellac of a table and eat it because they're hungry. There are certain food grade plastics that are used in time-released pills. Are those considered food since they are made to be ingested? As a note, the Oxford Dictionary defines the noun edible as "item of food". Unless there is an agreement in definitions, this will go nowhere. In seriousness, what is the definition of אינו ראוי לאכילה? What makes an item not fit for eating?